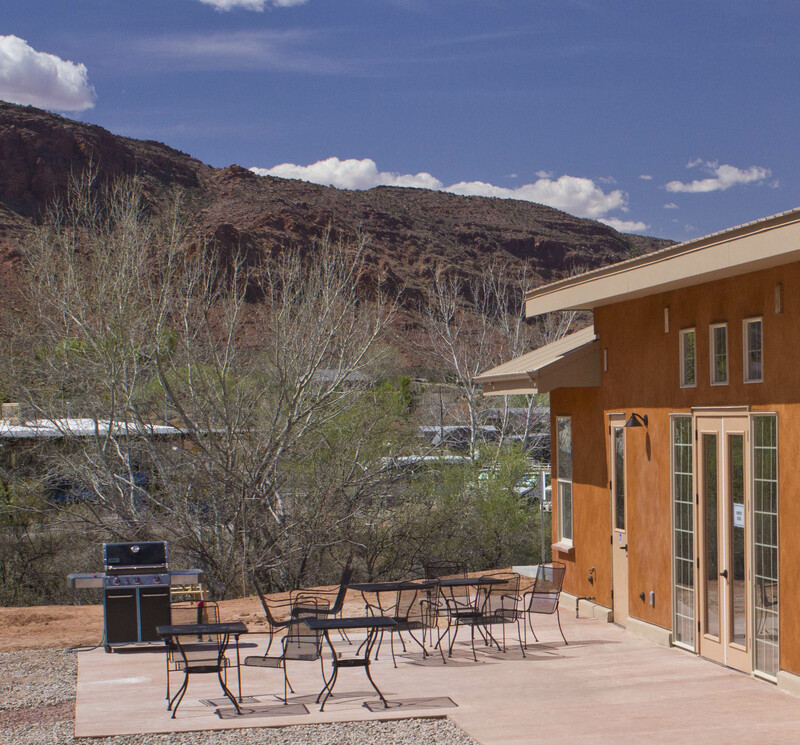 A popular feature at ACT Campground is our outdoor patio, which features a natural gas grill and seating for eating, socializing, or sharing stories about your adventures. An adjacent common fire ring offers an ideal place to share the ambiance of the outdoors, perhaps listen as someone strums on a guitar, cook some hotdogs or marshmallows, or even make some ever-popular S’Mores. The patio is a meeting place where you can interact with fellow campers from around the world.